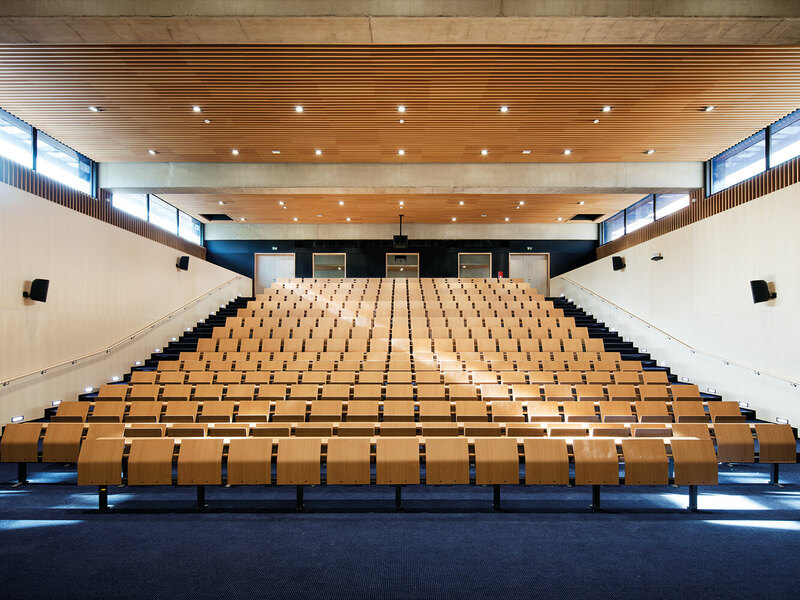 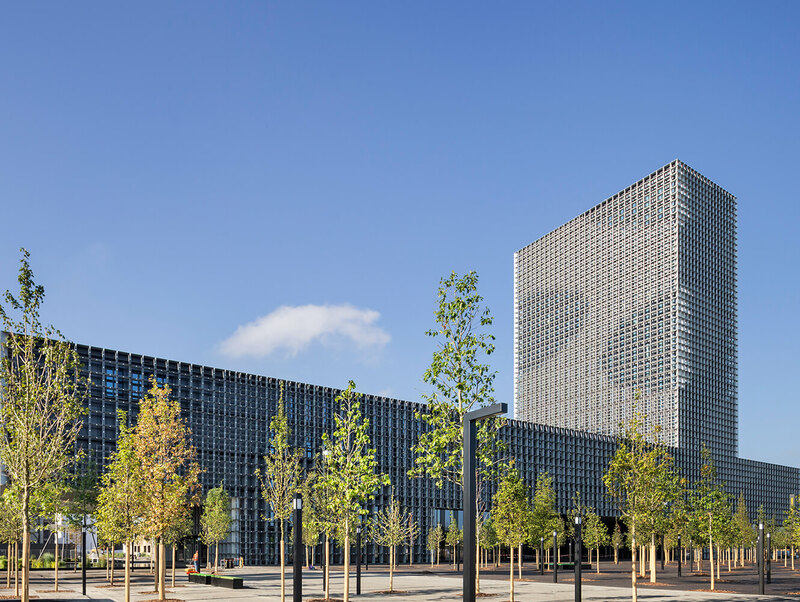 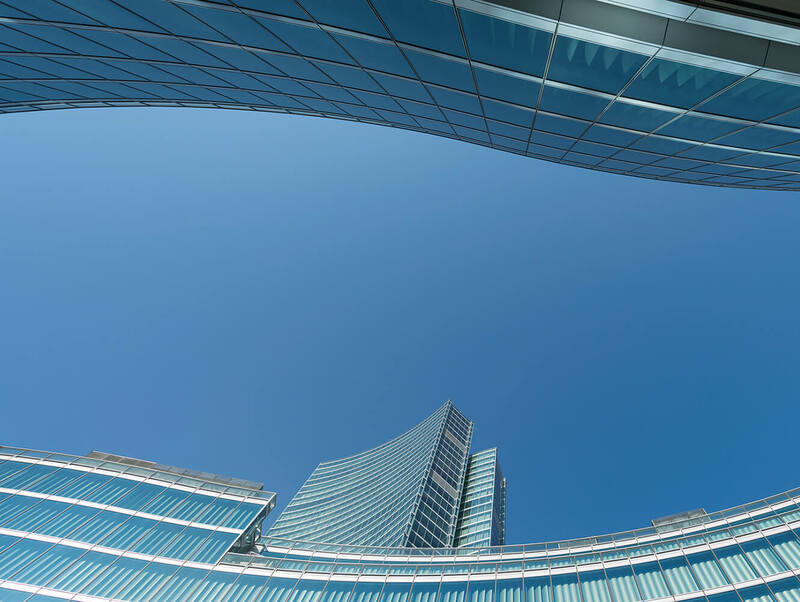 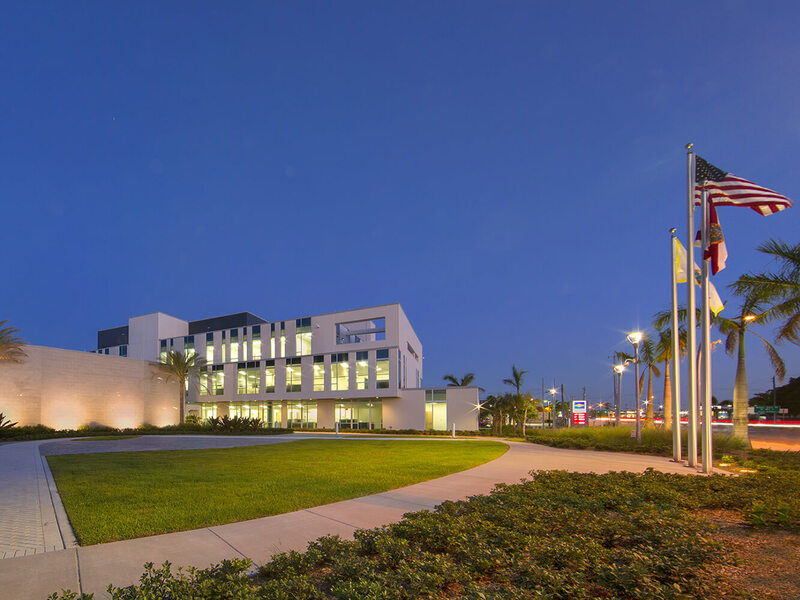 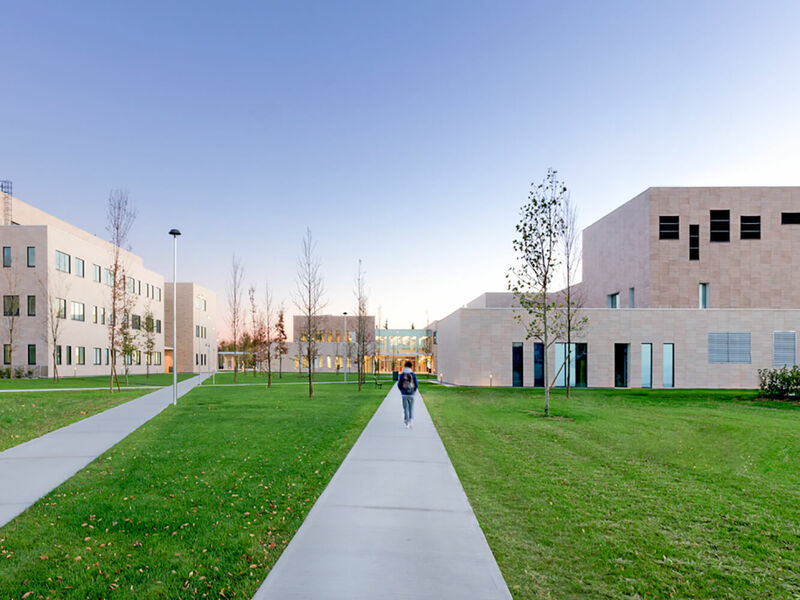 The IRA – Institut Régional d’Administration de Lyon is one of the five French regional administration institutes (together with Lille, Bastia, Metz and Nantes) that takes care of professional training and social promotion in the public sector. 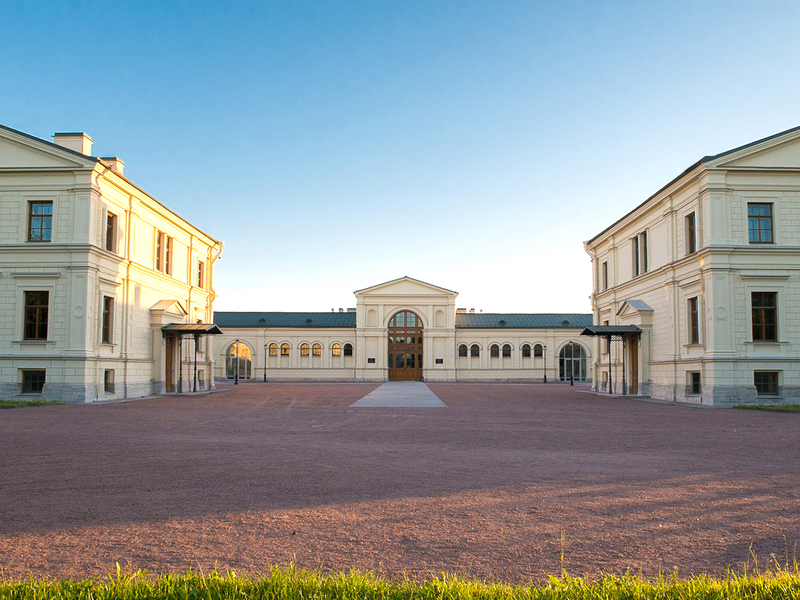 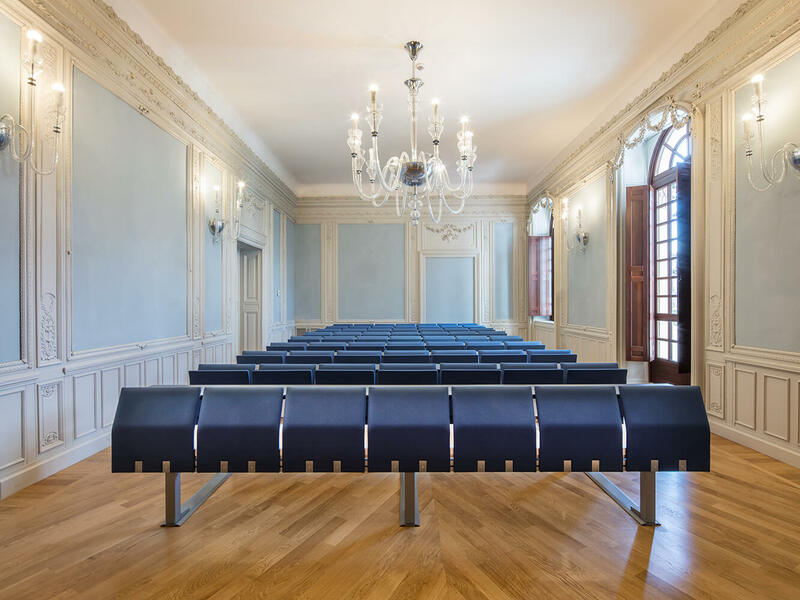 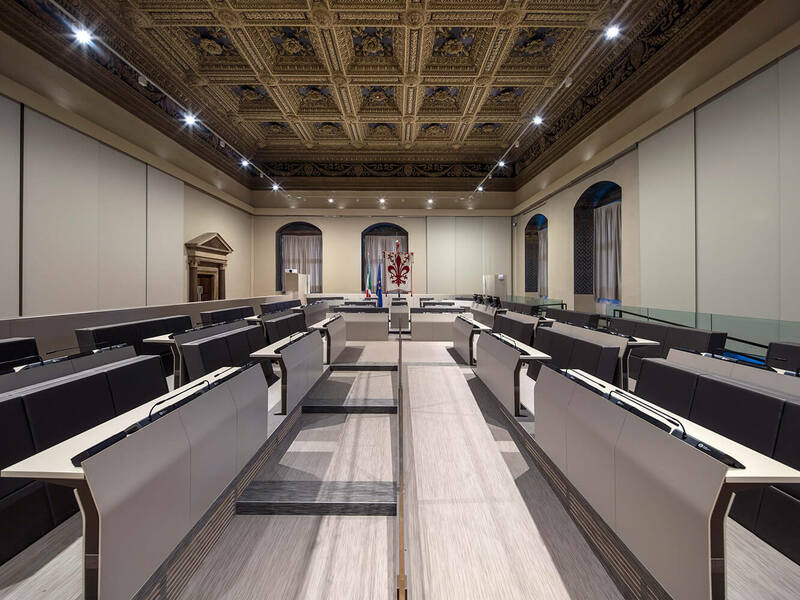 Operative since 1970, the Lyon institute recently underwent redevelopment work, which was entrusted to Molnar Piccinato Sarl d’Architecture, which sums up its project approach with the following significant definition: “Joining you to imagine the places of tomorrow”. 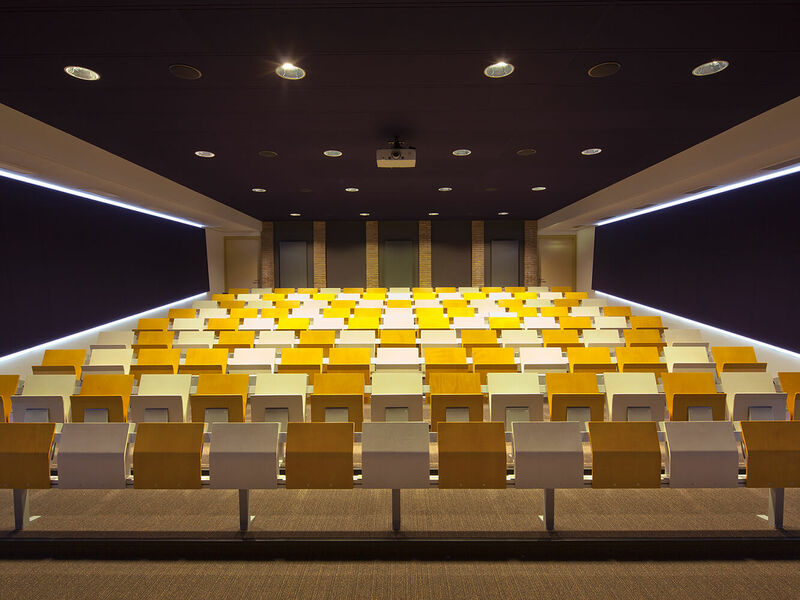 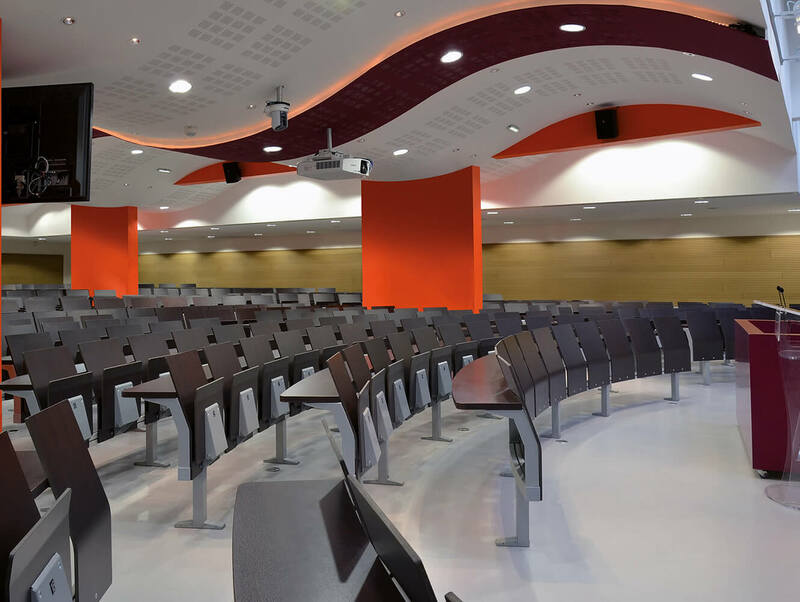 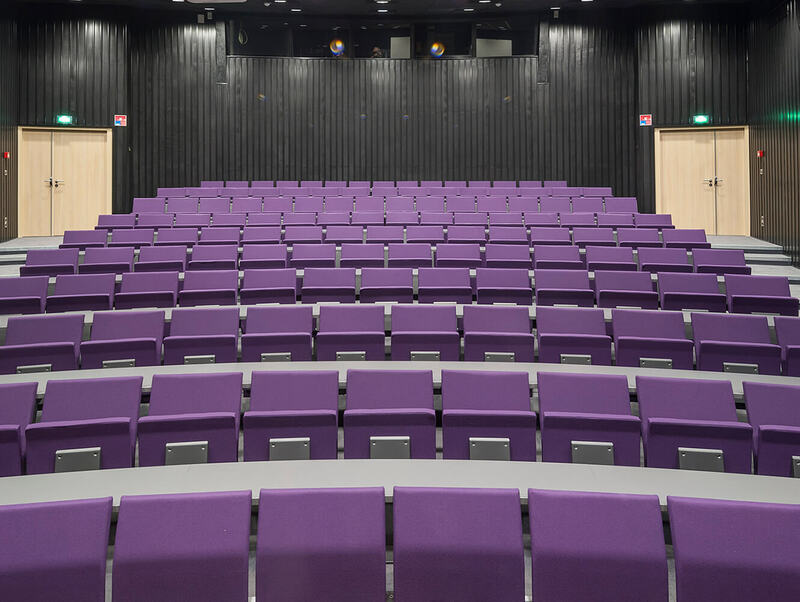 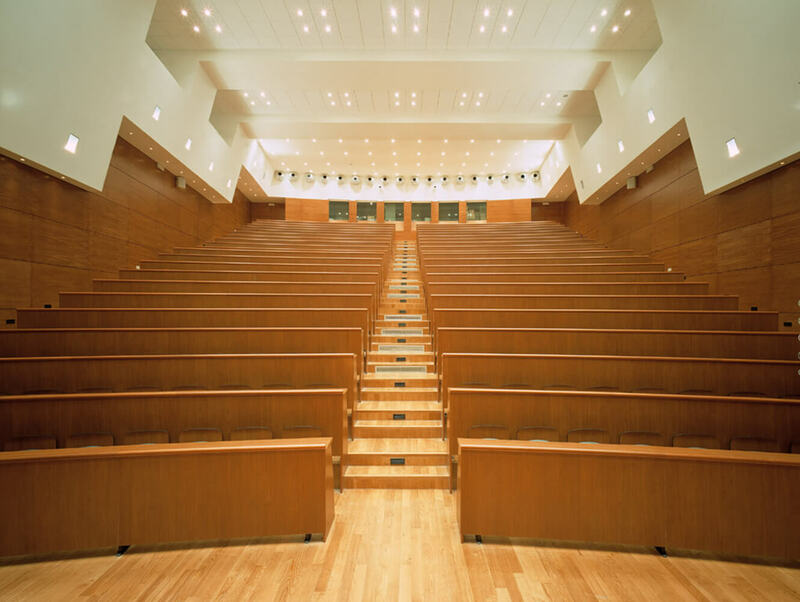 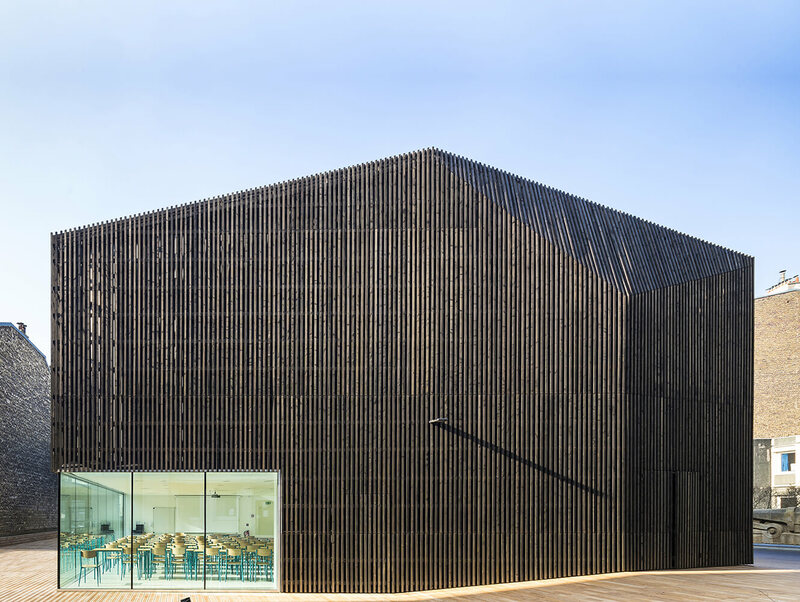 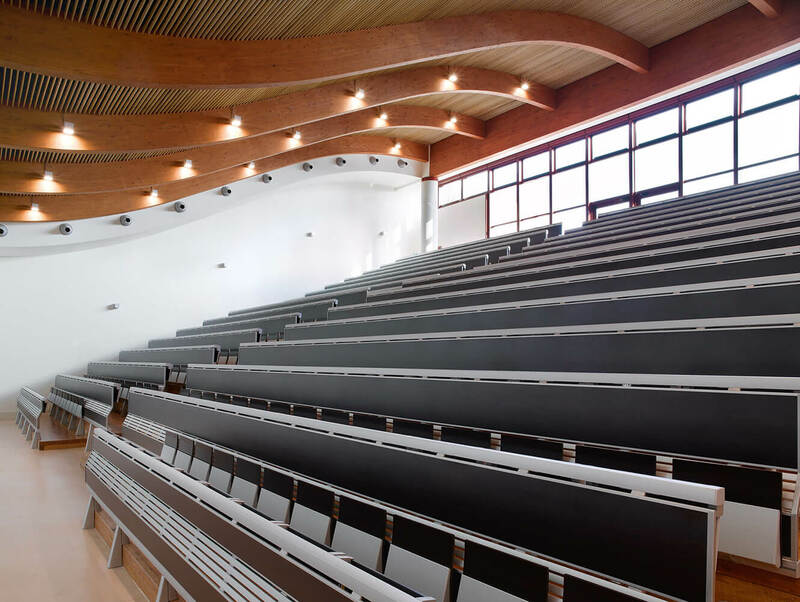 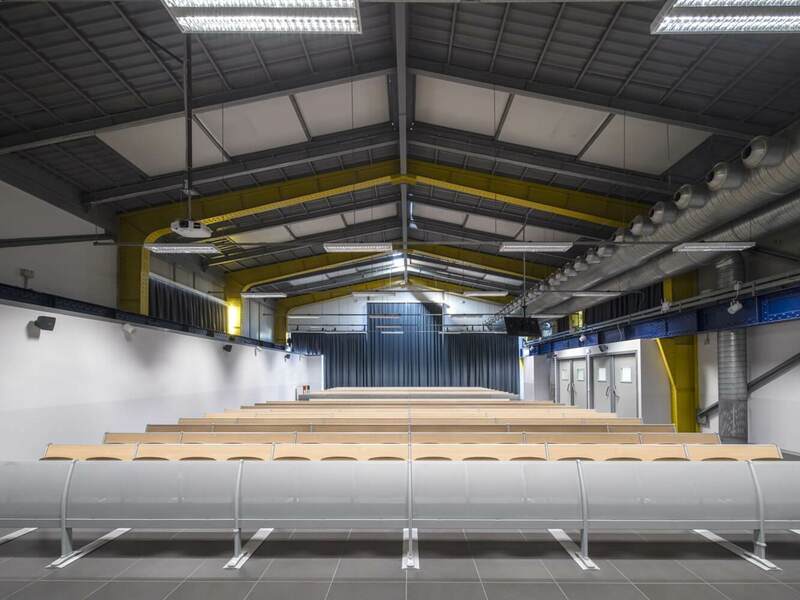 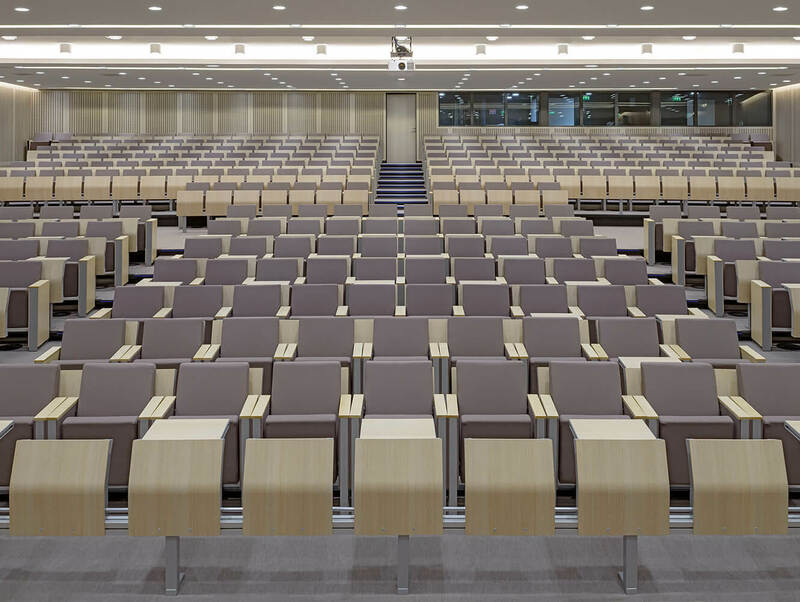 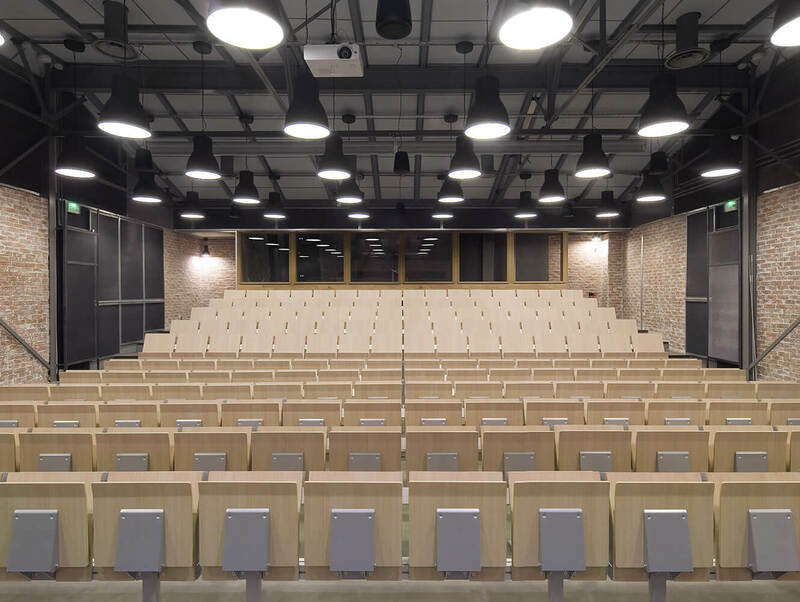 The main elements of the renovation work include the new conference hall, the fit-out of which has been entrusted to LAMM. 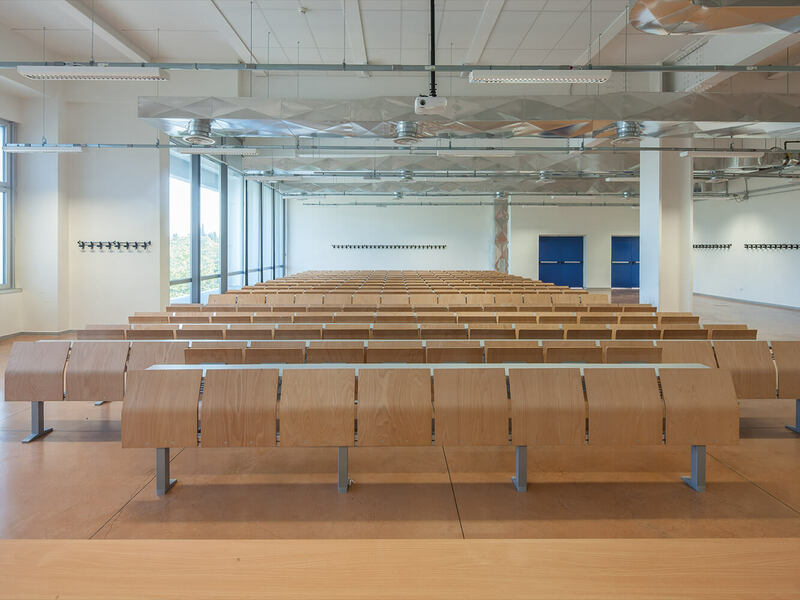 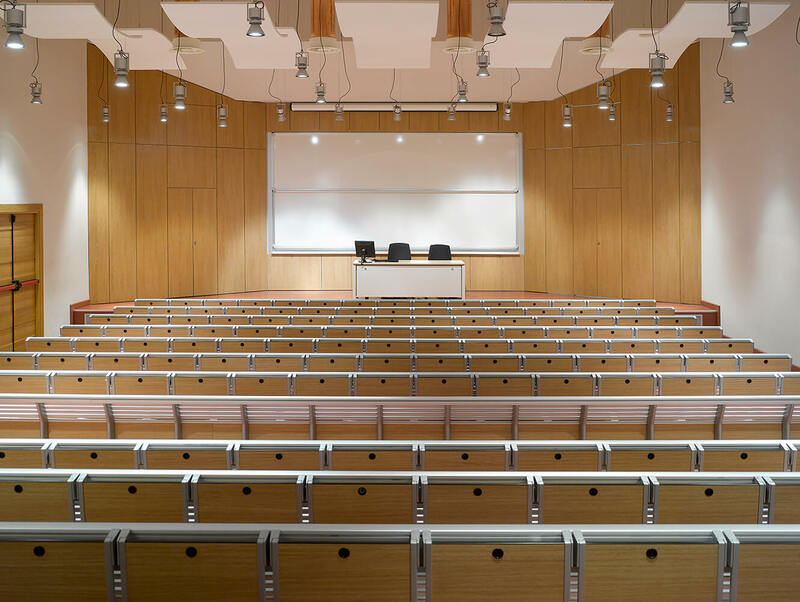 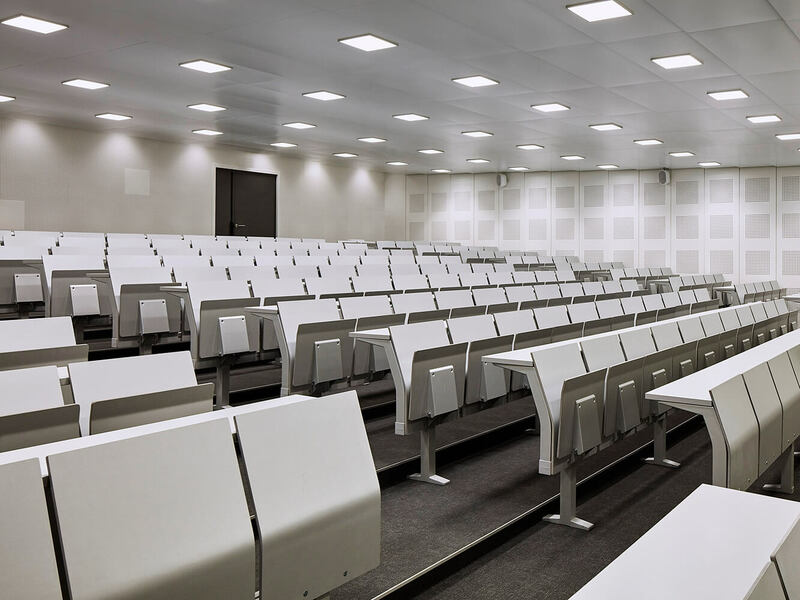 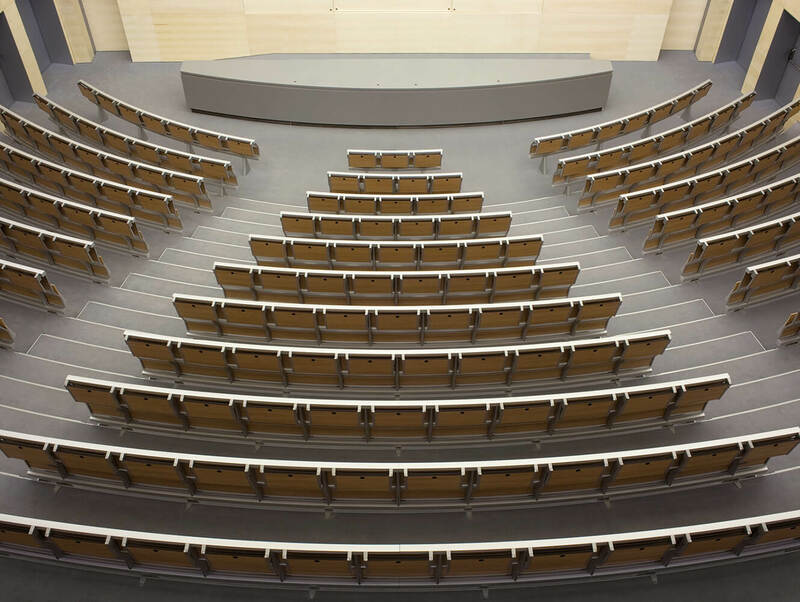 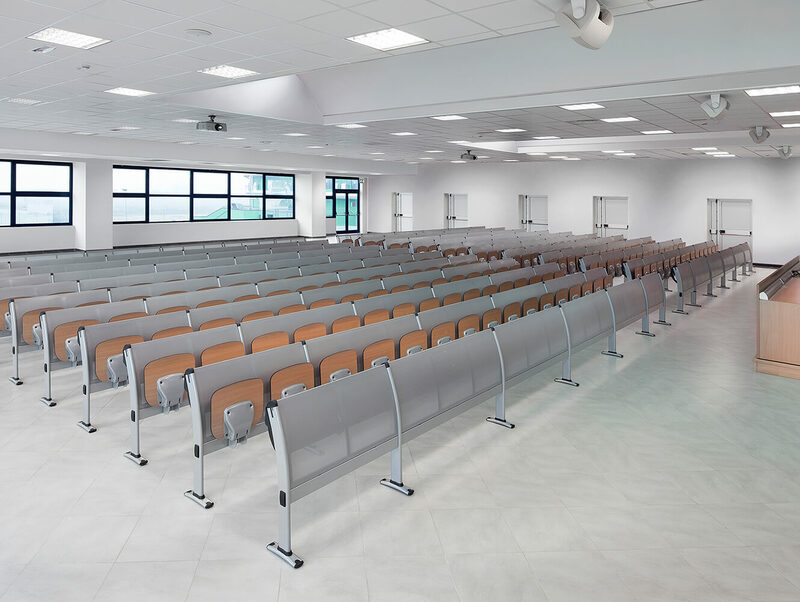 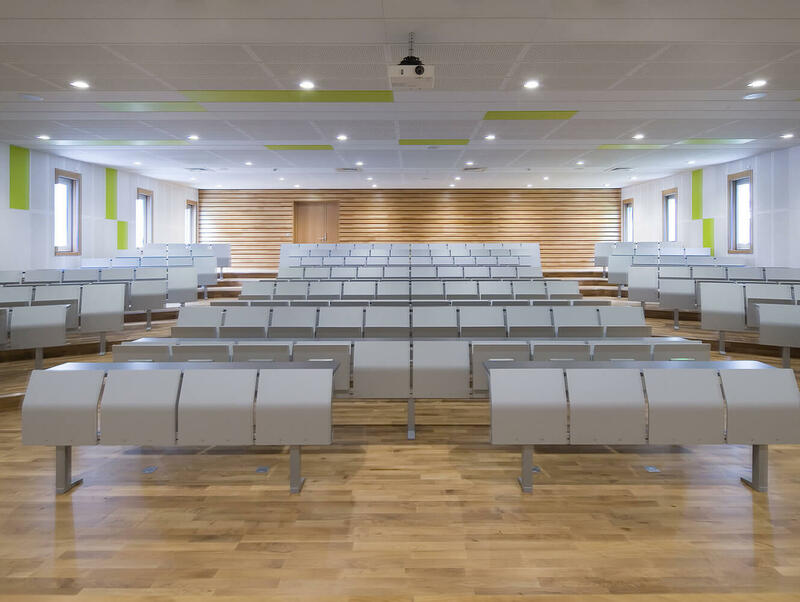 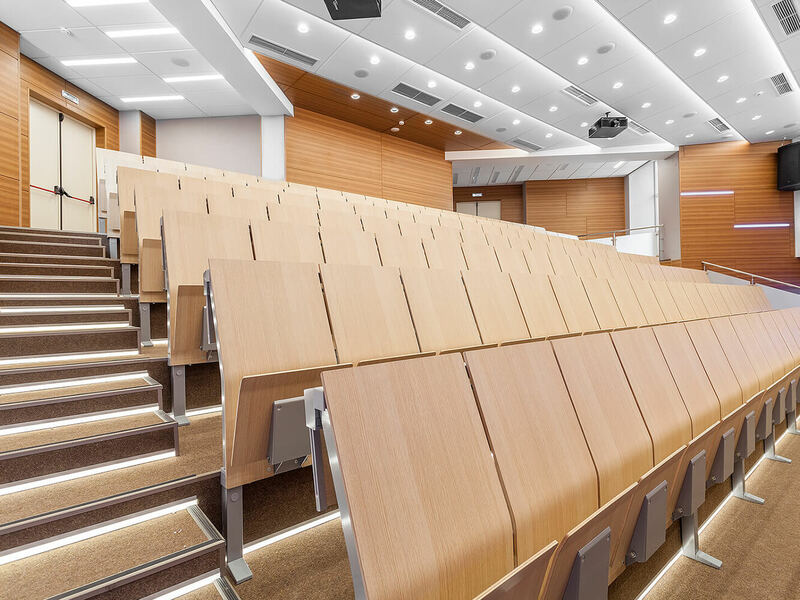 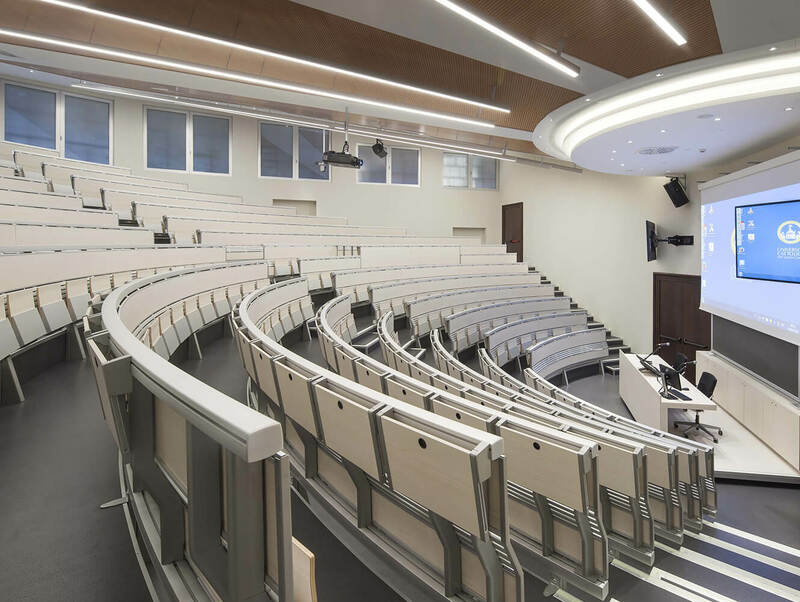 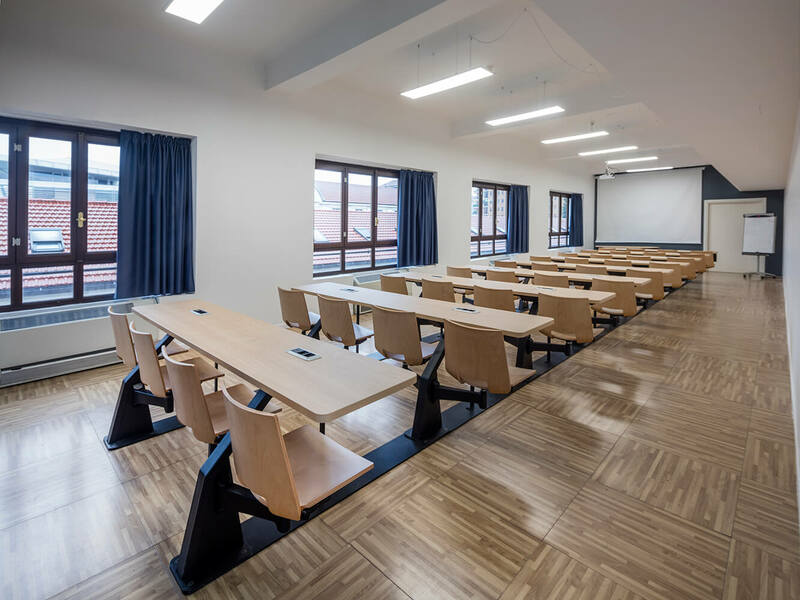 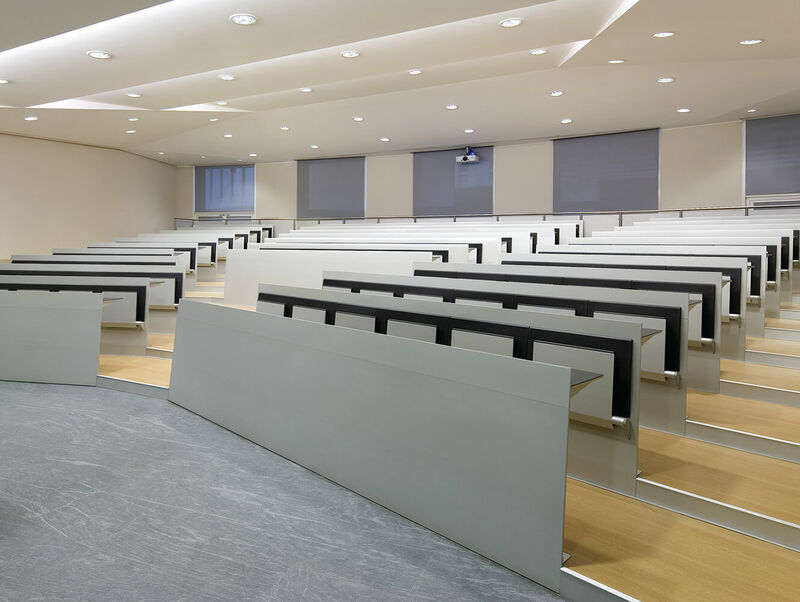 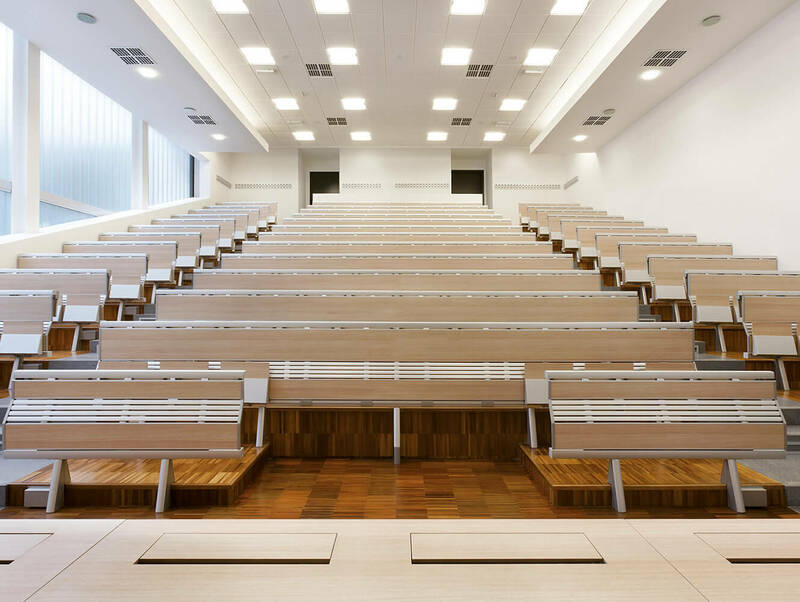 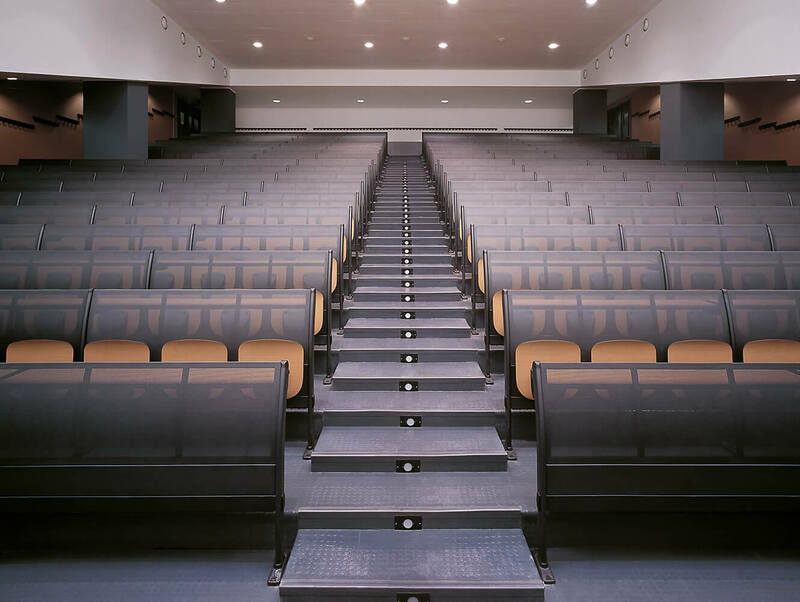 The choice fell to the E4000 study benches with a fixed writing table, positioned in straight lines and installed on 9-cm-high steps. 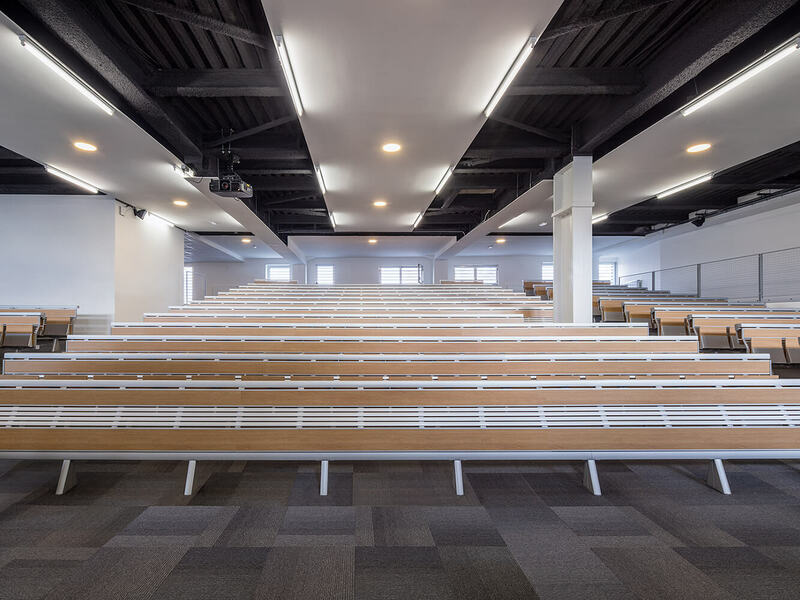 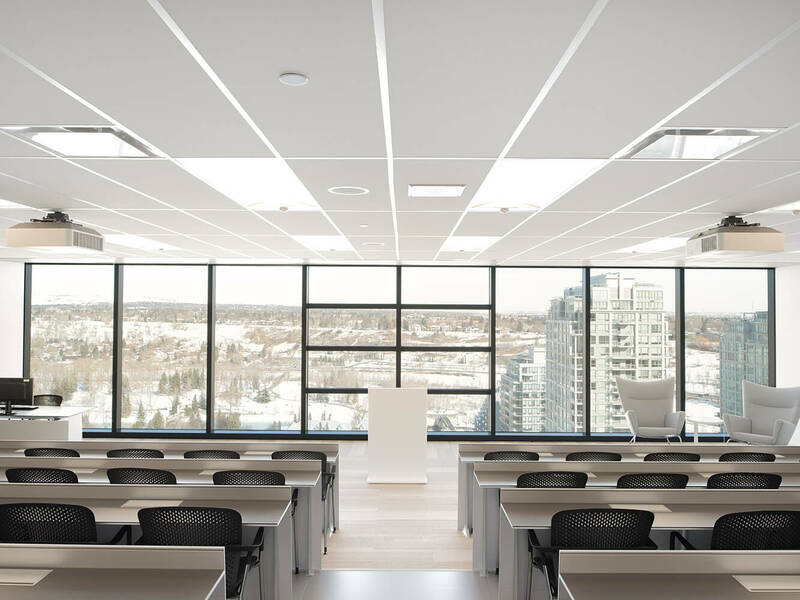 Enhanced by a sophisticated monochrome effect in the shades of silver of the metal frameworks and the HPL laminate finishes of the seats, backs and writing tables, the conference hall teams high standards of functionality, comfort and accessibility with a carefully studied design.